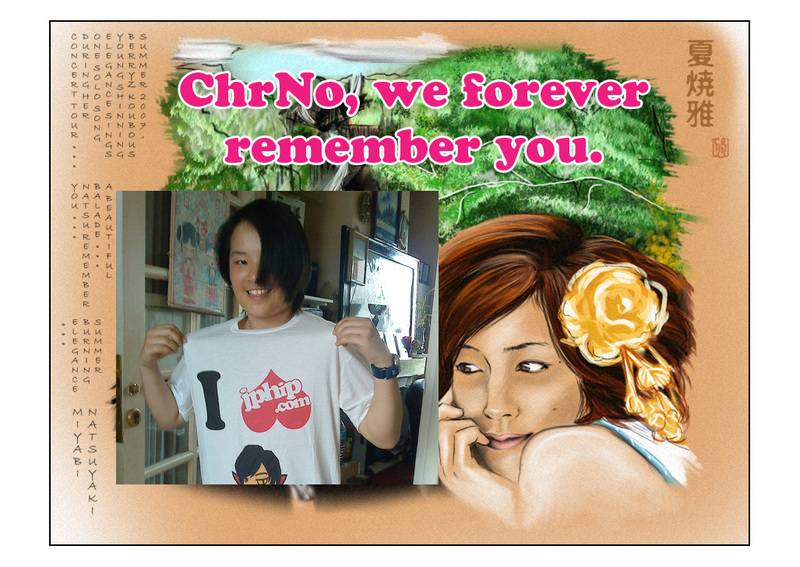 This day on April 26, we mark the third year since we lost our Dear Friend ChrNo. Berryz Miyabi Fangirl Supreme, Pun Enthusiast, Artist of our emoticons, Fanfic regular, Singer, Overall Legendary HiPster. She will never be forgotten. So get your shirts and REPRAZENT. (available at JPHiP SHOP – all proceeds go to Mental Health Charities ($3.10 per shirt) will go to Mental Health Awareness charities based in France and worldwide: http://www.who.int/mental_health/en/) Spread Mental Health Awareness and DISCUSS. Let’s help each other: Discuss in the forum!